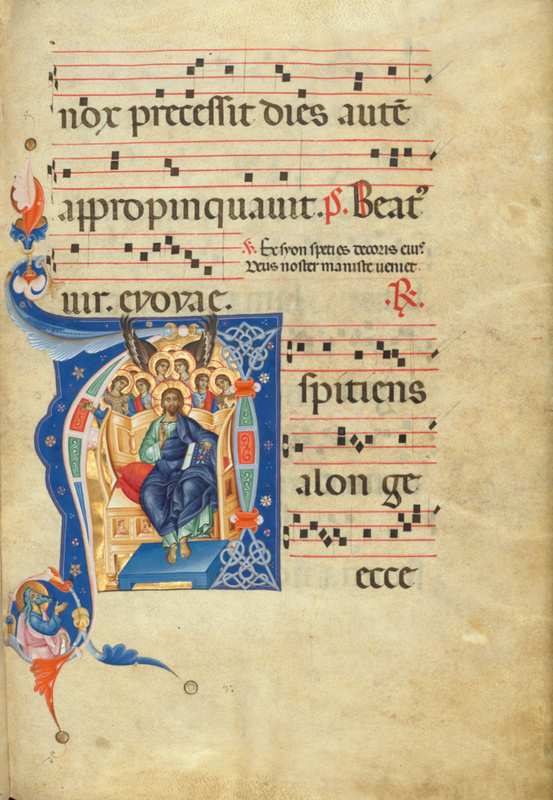 A historiated initial A with Christ in Majesty, the first and largest illumination in this antiphonal from Bologna, accompanies a chant for the pre-dawn prayer service for the first Sunday in Advent, the season of preparation for Christmas. In the chant the singer describes how he "sees the coming power of the Lord," referring to Christ's return at the end of time, when he will sit in judgment of all humanity. From the roundel at the lower left, the prophet Isaiah, whose words provided the inspiration for the text of the chant, "sees" Christ. 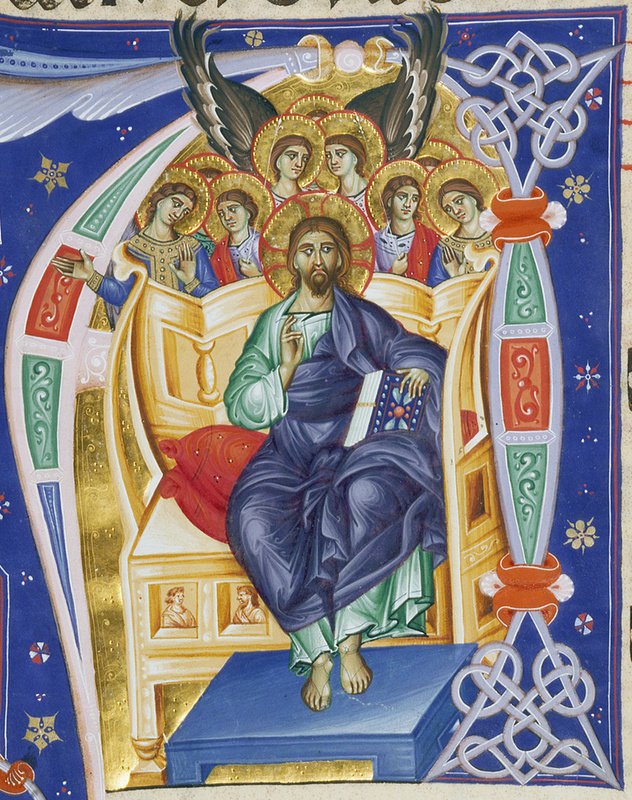 The illuminator has depicted Jesus as a massive, authoritative figure in voluminous draperies, sitting frontally on an ivory throne and attended by a group of winged angels. The book he holds, the Book of Life mentioned in the Apocalypse in the New Testament, contains a list of the saved and the damned.